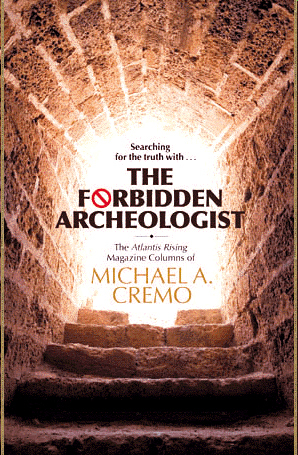 Why is Michael Cremo the Forbidden Archeologist? Badger, CA (August 2010) Michael Cremo, an international authority on human antiquity, has justly earned the ‘forbidden archeologist’ title. For over twenty-seven years he’s been “digging up” documented, credible findings that mainstream archeologists don’t want you to know about — discoveries in the fossil record that tell a completely different story from Darwinian evolution. His latest book, The Forbidden Archeologist (Torchlight Publishing ©2010), invites the reader to follow along as he presents his research at international scientific conferences, comments on the latest discoveries and ‘missing links’, examines famous archeological sites such as the Sterkfontein Caves — the alleged Cradle of Humanity — and responds to mixed reactions to his books, now translated into 26 languages. · Archeological evidence for extreme human antiquity. · The knowledge filter that screens out evidence that contradicts currently dominant theories of human origins. · His meetings with leading figures in alternative science. · Insights into a new conscious-based explanation of human origins. · His responses to recent discoveries in human origins research. · His presentations at international scientific conferences. · Christian and Vedic creationism viewpoints examined. · Discoveries about Indian archeology and the Aryan invasion theory. This collection of forty-nine articles published in Atlantis Rising magazine is like the Cliff Notes on his best selling, encyclopedic Forbidden Archeology and formidable Human Devolution. Readers will quickly understand the strongest arguments and remarkable discoveries that reveal evolution as a failing theory. 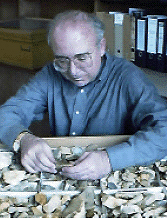 Michael Cremo is an international authority and speaker on archeological anomalies and extreme human antiquity. A best selling author and research associate of the Bhaktivedanta Institute, he specializes in the history and philosophy of science. He is a member of the World Archeological Congress and the European Association of Archeologists.